As with every other Idol anime Wake up Girls follows a group of Girls as they attempt to make it big in the entertainment industry.And as usual we have a group of girls with differing personalities, for example Mayu a girl reluctant to join due to her previously bad experience in an idol group, Miyuu the usual maid cafe worker trope, as well as six other girls. In this respect Wake up girls is no different from any other Idol show. One could even argue that the shows is bland for an Idol anime and for the most part the characters, at least for now, have almost no depth and are mostly boring. 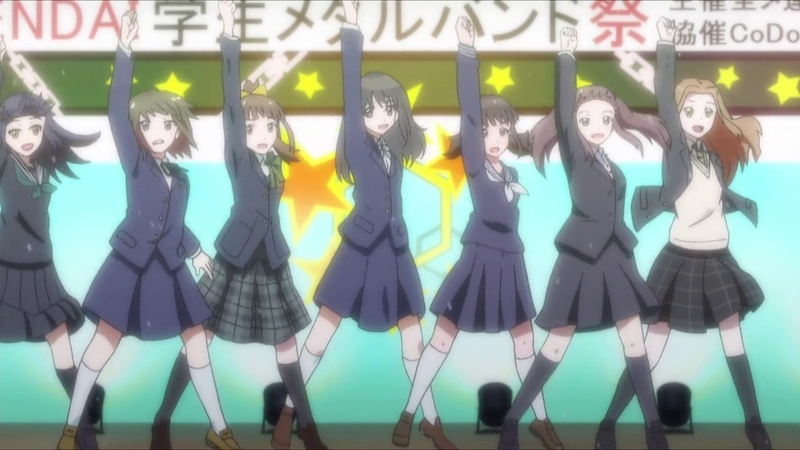 Certainly if this was all Wake up Girls offered I would have dropped before the end of the hour long film. 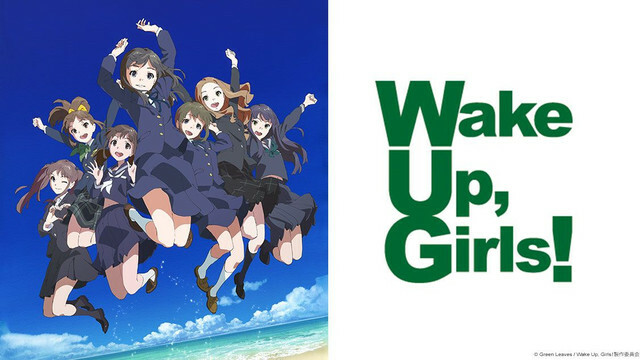 However to suggest that wake up girls is a simple show about a group of girls attempting to become idols, would be missing the point, the show offers a lot more that other shows of its type. First and foremost, the the idol group itself is not the primary focus of the show. Indeed most of the opening film instead focuses on Green Leaves Entertainment, a small company on the verge of bankruptcy, desperately in need of new talent. Thus the group is formed not due to the desire of the girls but due to financial necessity of the company. While it might seem that there is little difference between the two it does mean that the girls themselves have no great connection to the group, thus leading to discussions over weather the group should continue. The fact that the group is formed between a group of strangers rather than friends should also lead to some interesting clashes of personalities later down the line. The Business angle that the show takes is an interesting one and an aspect of the idol industry few shows have actually touched upon. One of the most striking things about Wake up Girls is its muted and more realistic tone. Not only are the financial implications of launching an idol group discussed, but also weather the group will succeed at all. Indeed it seems from the opening two episodes as if fame is not at all guaranteed for the group.. With their opening performance taking place in a cold park in front of a crowd of about only ten people. Even at this point the group still only has one song as well as not having a stage costume. 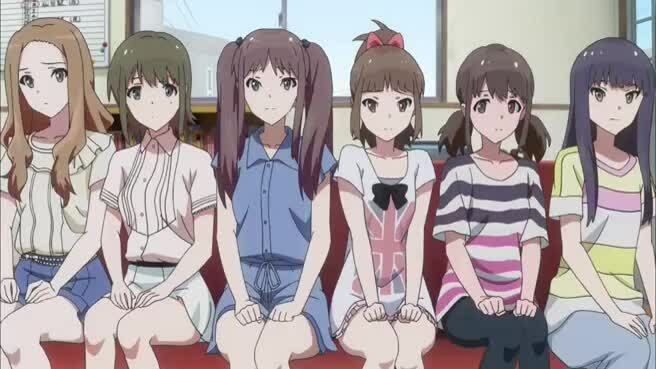 Unlike many shows Wake up girls definitely does a good job of presenting the reality of building up an idol group. Another interesting aspect of the idol industry that the show touches upon, is its sexualization. In episode two we see the girls being completely exploited by the manager brought in to help save the group. While certainly it makes for uncomfortable viewing its certainly interesting to see a show be so honest about the seeder side of the idol industry. While it doesn’t make any profound statement on the issue, its nice to see the show actually acknowledge the problem and it certainly deserves some credit for that. With many shows simply preferring to step around the issue. 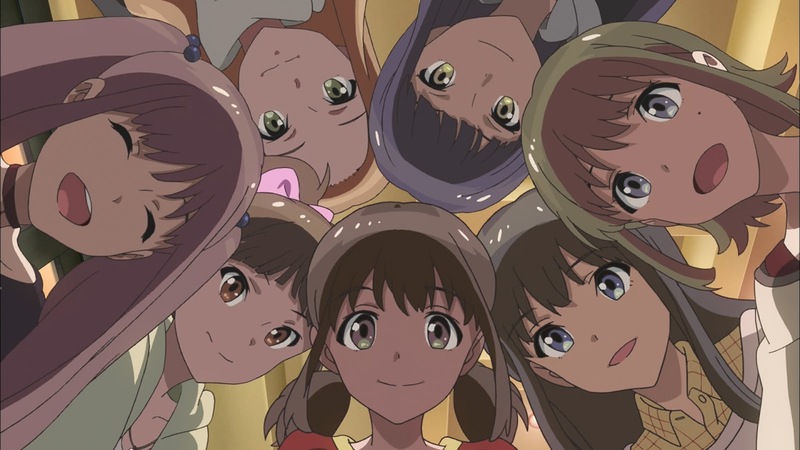 So over all Wake Up Girls has been my biggest surprise of the winter 2014 Season. It covers many interesting aspects of the idol industry that we rarely get to see, without the show being too long winded or boring. It still remains to be see if it can keep my interest through the whole series, and there certainly is the danger it could fall into the usual idol show tropes. But for now at least Wake up girls is by far the most interesting show of the season. Next > Space Dandy a victim of Hype?